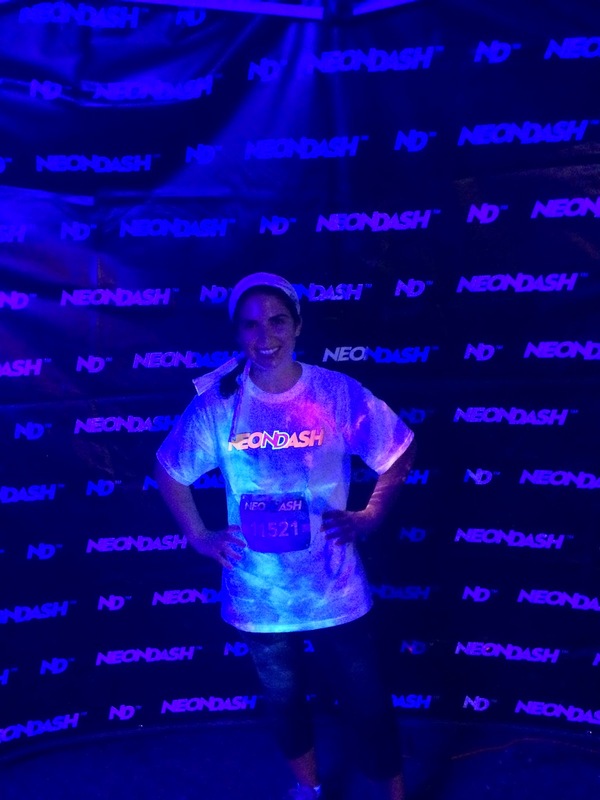 Here are some snaps from this weekend's Neon Dash and the Damon Runyon 5k for Cancer Research! The Neon Dash 5k I ran in about 31 minutes, which I thought was pretty darn good accounting for the slow-down while getting neon tossed at me and the blister I got from wearing my very old sneakers. The excited atmosphere and pumping music kept me going. Great intermediate race to gear up for my first 10k next month! It was cool to do a nighttime run--very different from the usual. Summer night are more manageable than the days, and the path wove around through an open field, so there was a nice breeze. It was awesome that the sky appeared to be NEON, too! (1) Go in a group! (2) Dress up like crazy! (3) Know that you can definitely run, walk, or dance your way to the finish line. All three were popular choices for this race, which isn't even timed, so no pressure!! The "neon" stations--where you get "hit" with colors (all soft, like baby powder)--were spread throughout, and you could see the color all lit up, anticipating the approach in the darkness. 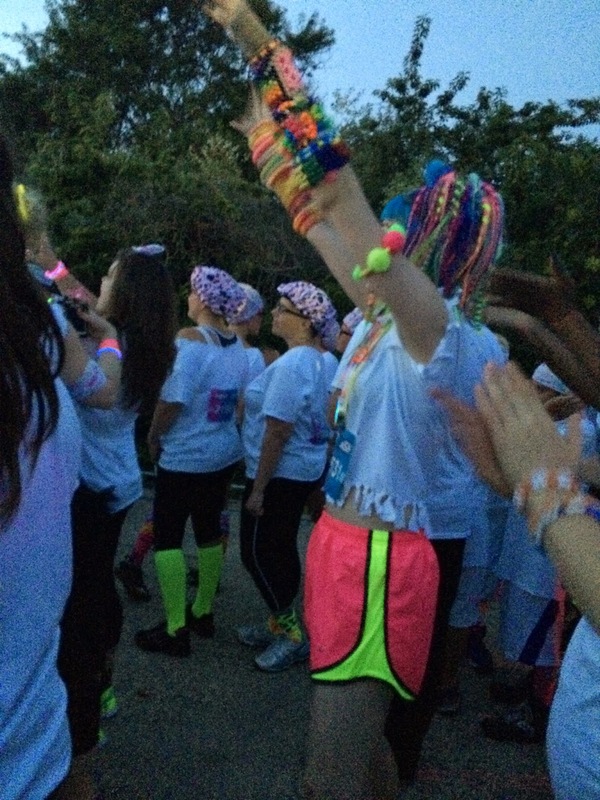 The powder they tossed at us didn't glow in the dark, so it wasn't until you reached the blacklights that you really saw how NEON you were! See official event photos HERE! 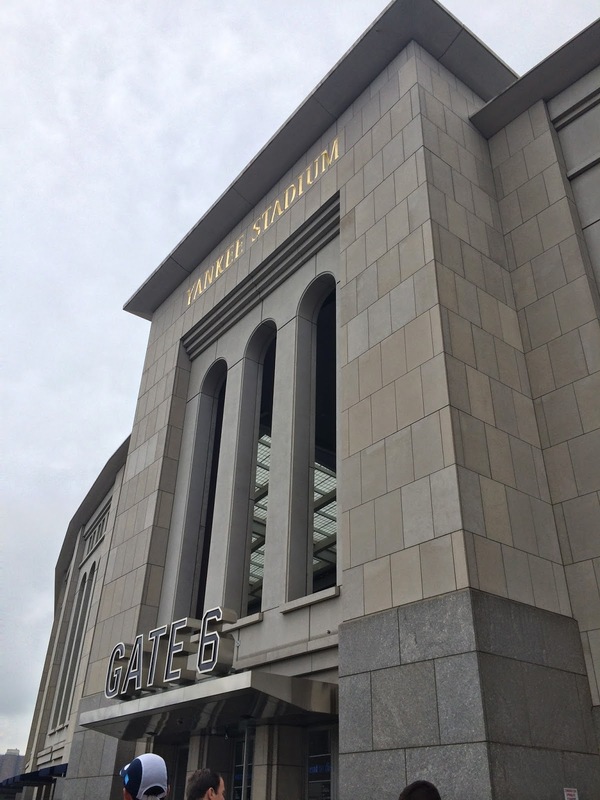 The Yankee Stadium 5k I decided to walk this time, as a nice recovery (in the best setting!) from the previous night's 5k run.